So this is my first time doing a travel link up and I have to say that I'm rather excited about it! It gives me the opportunity as someone new to the blogging world, to share my experiences with, and enjoy the travel experiences of others. This months theme- 'A Room with a View' automatically made me think of some of the incredible views I've had over the years- be it the Empire State Building at night or the Grand Canyon, I've been fortunate enough to have some really awesome views from a hotel window. 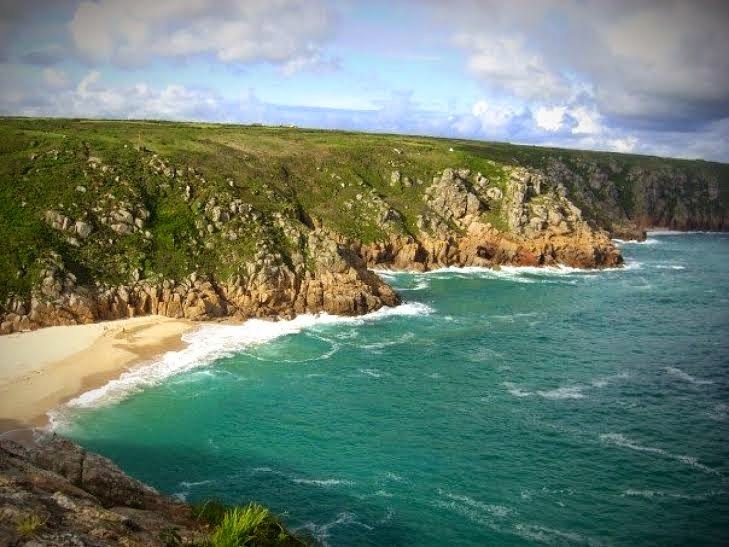 However the title also got me thinking a little 'outside of the box' and took me 6 hours away from my home city of London to a little cliff-top cafe in the small Cornish town of Porthcurno. 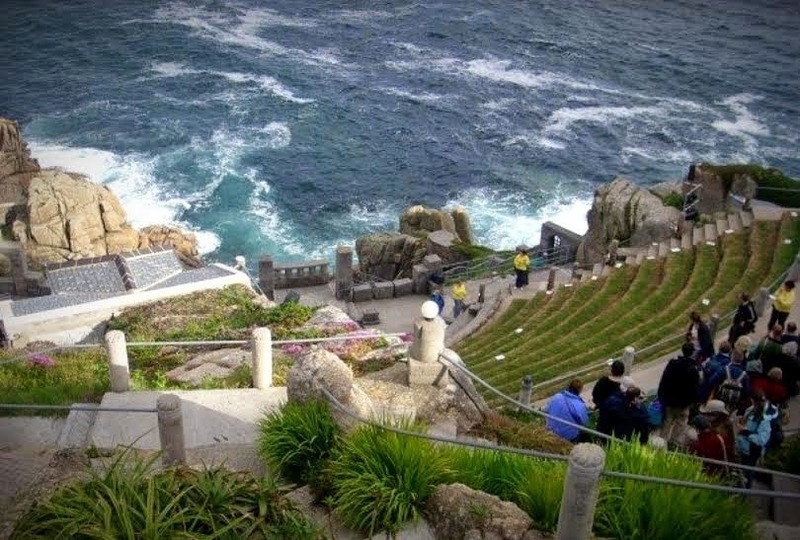 With just one small room that seats up to about 20 people, the Minack Cafe is set within the Minack open air theatre, a theatre carved out of a rock overlooking the Atlantic ocean. I first came here over ten years ago when I was fortunate enough to perform at the theatre. 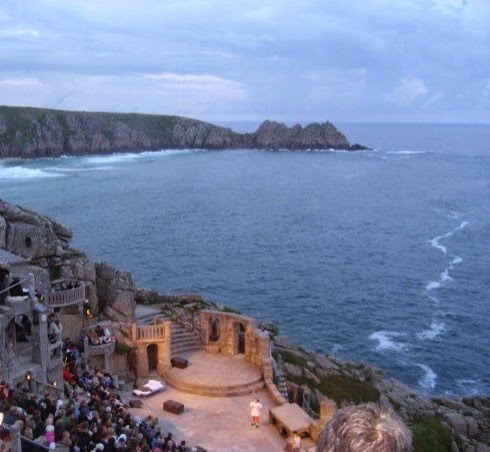 Arriving early afternoon, I remember going into the cafe to grab a cup of tea and as I sat down and gazed out of the window... looking to my right I could see the theatre, looking to my left I could see the Cornish beauty and immediately, I was swept away! Sitting there simply stunned by it's beauty it made me realise that yes, although there are wonderful views in the world, sometimes those closest to home can be a bit more special. 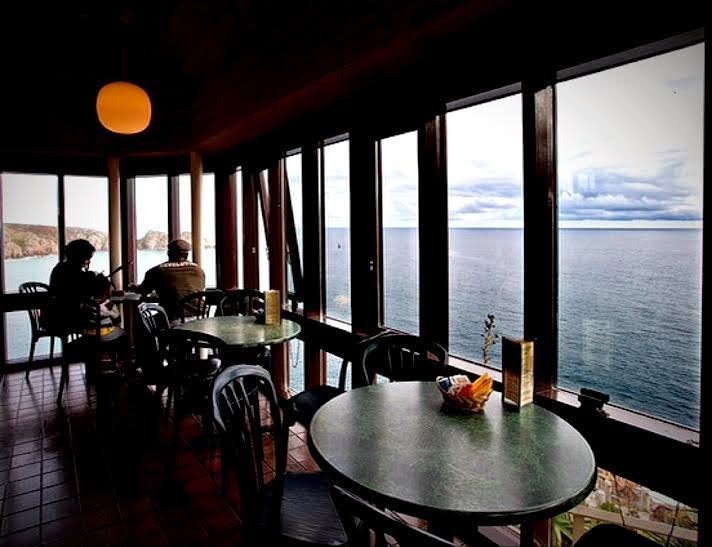 I have returned to the Minack cafe twice since this first experience and I always do the same thing- order my cup of tea, find a space in the room and admire the view!